First, bring along your old medical card to the practice. Do not worry if you cannot find it as the Health Authority will send you a new one once you have registered with us. You will be given a Registration Form (GMS1) to complete, Please ask a receptionist if you need assistance. The receptionist will then book you an appointment with our practice nurse for a New Patient Health Check. You will be given a urine sample bottle and asked to bring a fresh urine sample for the appointment, please allow yourself 15 minutes for this appointment. Please tell us about any regular medication you take. It is very helpful if you bring in a Repeat Prescription printout from your previous practice. You will need to see one of the GPs before any repeat prescriptions can be issued, so we will try to book you an appointment with a GP after seeing the Health Care Assistant. Once the registration process is complete, we can apply to your old practice for the medical records. You may print off a registration form, fill it out and bring it to the surgery. Please DO NOT EMAIL this form to the surgery as we are unable to accept this, it will be necessary to bring the completed form to surgery in order that we can get register you with our practice. If you are ill whilst away from home and you need to see a doctor you can receive emergency treatment from the local GP practice. You can be registered as a temporary patient for up to three months. This will allow you to be with the local practice and still remain a patient of your permanent GP. 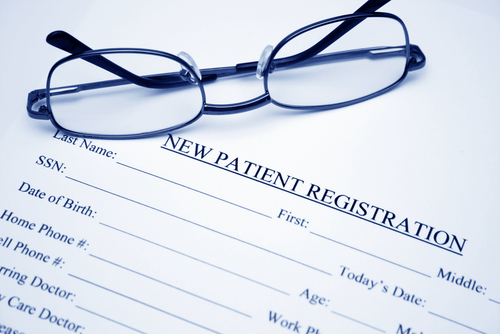 After three months you will have to re-register as a temporary patient or permanently register with that practice. Do not EMAIL this form back to surgery as we are unable to accept email copies, it is necessary for you to complete this and return to surgery.